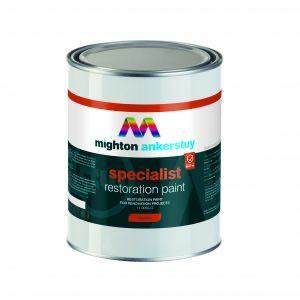 “All of our Mighton Ankerstuy paint products, including primers, undercoats and top coat systems, are certified by KOMO, which is widely regarded as the leading accreditation body in Europe for testing and accreditation of products for the construction industry,” explained Mike Derham when we asked him about the announcement that their products carry this mark, which is relatively unknown in the UK. Mike continued: “KOMO accreditation is unlike CE marking and testing. CE marking indicates conformity with health, safety, and environmental protection standards for products sold within the European Economic Area. CE Marking is not a performance quality mark as such and only gives information on the so-called ‘general essential characteristics’ of a particular product, and does not have to cover all the essential characteristics for application in specific situations. 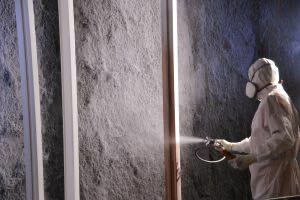 “KOMO certification is a quality mark and the accreditation is a highly trusted and respected international standard that guarantees quality and safety and in the context of our paints, it ensures that they are not only manufactured to the highest possible standard but are also able to accomplish what they are designed to do. KOMO accredited products are repeatedly assessed by independent industry experts to ensure their manufacturer’s claims for performance are valid,” confirmed Mike. How widespread is KOMO, why are we not generally familiar with the standard? “In the Netherlands, where our paints are manufactured, and in mainland European markets, KOMO is widely recognised. In the UK is remains relatively unknown,” says Mike. “However, KOMO is useful specifically in the context of Mighton Ankerstuy as buyers and specifiers can look at KOMO certification and understand if the product is appropriate for the application they were considering using it for, not simply that it complies with the regulatory European standards for sale of a product. “The KOMO Quality Mark is 100% voluntary and independent and indicates the confidence a manufacturer has in its products. The mark owes its reputation for integrity because objective assessment is performed by independent experts, recognised certification institutes that have been appointed by a National Accreditation Council. They have the exclusive authority to issue KOMO quality declarations,” said Mike. Researching further, KOMO is a Dutch-based certification foundation, which was founded in 1962. There are about 6,300 KOMO certificates and about 4,300 KOMO certificate holders. They can only carry the KOMO Quality Mark if their product, their application process, their realisation process or service meets the quality requirements recorded in the assessment directives.­­ These are drawn up by independent Committees of Experts under the supervision of various European certification institutes.